Physiology is the study of how the body functions in health and disease - driven by questions relating to fundamental science and disease mechanisms. The Department has broad teaching and research representation within the Faculty of Medical and Health Sciences and the Faculty of Science. 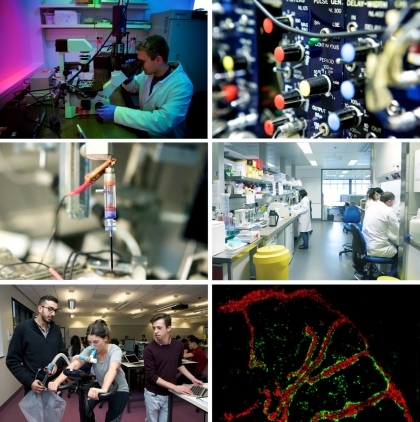 Our research covers a wide range of biomedical fields, with investigations from the molecular and cellular level through to whole mammalian systems. There are many exciting opportunities for undergraduate and postgraduate students to get involved in the research life of the Department, including Summer Studentships, Honours & Masters projects, and PhD programmes. Find out about our Principal Investigators and their research projects. Learn more about our programmes, courses, enrolment and more. Search for our staff contact details. Contact the Department of Physiology.